Senior Academic member of staff in a recognized University, with academic, administrative experience and capability. a) Must be a holder of a Doctoral Degree (PhD) from a recognized University. b) Must have worked for more than 5 years in an Academic Institution at a senior management level of a University. c) Must be a Professor or Associate Professor in either Academic or Research. a) Be a person of integrity, senior academic member of staff in a recognized University with academic and administrative experience and capability. b) Have strong organizational and persuasive skills. 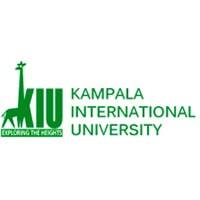 Senior academic member of staff in a recognised University with academic and administrative experience and capability. a) Must he a holder of a Doctoral Degree (PhD) from a recognised University. c) Have excellent verbal and written communications skills and be computer proficient. e) Coordinate preparation and keeping of the University students records. k) To be responsible Student welfare including Sports, Medical facilities, Ambulance and any other Health Projects. I) May be required to perform any other duties as delegated by the Vice Chancellor. Gongo la Mboto, Dar es salaam, Tanzania. 2) Only shod listed candidates will be contacted. 4) Deadline for application is 5:00 pm EAT, Wednesday 30th January, 2019.